Prince Of Tears (2009) is a fantastic film from renowned director Yonfan. With a large body of work focusing mostly on small independent films with gays and lesbians often at the center, Yonfan this time produced a stunning glossy piece of high Art. Lush and ornate, every single frame in the film will have you go "Wow!". Costumes, sets, art direction, cinematography are all simply stunning. The grand scale of the production is only matched by the grand scale of a troubling period of history the film portrays. The White Terror in Taiwan was traumatizing for the country, and wasn't officially acknowledged and condemned till 1995. In short, after a devastating government-led massacre of 10's of thousands in 1947, the government declared Martial Law and thousands of people continued to simply disappeared, be imprisoned, and/or executed for decades to follow, under suspicion of being Communists. "Thousands" may not feel like much, but at the time, you have to understand that adjusted for population, it's as if McCarthism in the US had resulted in over 400,000 violent political assassinations! And i am using lower-bound estimates from what i could gather. In this film, we follow a love triangle that gets caught into this political nightmare, with disastrous consequences. The film's scale is epic, but the story focuses on a few characters and their relationships with one another, giving that period in history a very human and personal face. The film is unnerving as it under its gorgeous looks, it displays some of the most horrible human emotions and mob behaviors, misplaced ideas of national honor and counter-revolutionary impulses that are at least as detestable as the revolutionary impulses that were happening on the mainland right about the same time. 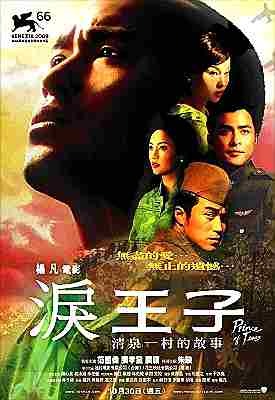 This film could have fallen into so many traps, and maybe it did as i must admit i am no expert in the matter, but at least in broad strokes, around themes that anyone can relate to, the film did not fall into glorifying Communists in some way, or Mao's mainland government. This is not a left-wing statement about how the Reactionaries are worse than the Revolutionaries, or something to that effect. This is not Steven Soderbergh's Che. Instead, the film focuses on the mechanics of any such horrible political climates, the bribes, the influences, and the inexorable march of time that swallows inconsiderately the helpless, no matter which side those horrors happen on.